MDOC looking to fill 700 full-time positions paying up to $27.06/hr. Begin your career here! Start as a corrections officer and it is just the first step, see where this decision can take you. Follow this link to see the career paths that will be open to you. This is an entry-level position. Employees in this job oversee and participate in the custody, security, and treatment of prisoners in correctional facilities. These positions are at various locations throughout the state. See map link for the locations: Map. Upon successful completion of the training and other departmental requirements, the officer will complete the probationary period at an assigned correctional facility (facilities are located throughout the state). 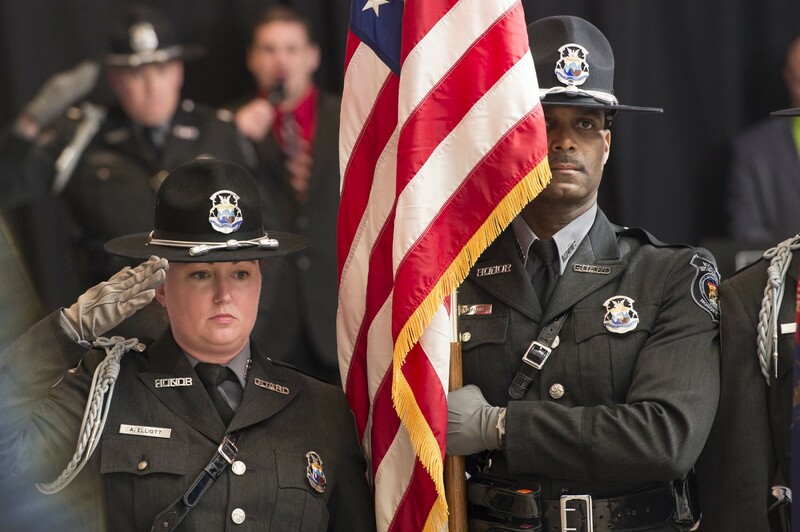 The employee participates in the custody, security, and treatment of prisoners or detainees while learning and developing the interpersonal skills required to perform a range of corrections officer assignments. Successful completion of the initial training program, annual training, and continuing certification as a Corrections Officer are required to remain employed. NOTE: These positions are considered test designated and are subject to all forms of drug and alcohol testing. Completion of 15 semester (23 term) college credits in one or a combination of the following: correctional administration, criminal justice, criminology, psychology, social work, sociology, counseling and guidance, educational psychology, family relations, pastoral counseling, or law enforcement. Employees have up to 18 months after date of hire to satisfy this requirement. Employees will not proceed to the E9-level until satisfactory completion of the education requirement. Completion of the education requirement is required in order to remain employed. Military Veterans: The MDOC accepts Joint Services Transcripts(JST). Please call 517-335-1863 or 517-241-8559 for assistance with your JST's. A DD214 is not a Joint Service Transcript. Possession of 30 semester/45 term college credits leading toward a degree in any major (must be completed prior to date of hire). Completion of a recognized corrections training program in another state jurisdiction, federal jurisdiction, or private corrections institution housing state or federal prisoners, completion of at least two years of full-time corrections officer work experience, and currently employed satisfactorily in a corrections officer position, or have left corrections officer employment in satisfactory status. Completion of basic training and two years of military service, along with 15 semester/23 term college credits leading toward a degree in any major obtained through an accredited college or their Joint Services Transcript (JST). If the service member is no longer serving, they must present proof of being honorably discharged. YOUR APPLICATION FOR ANY POSITION DOES NOT GUARANTEE YOU WILL BE CONTACTED BY THE DEPARTMENT/AGENCY FOR FURTHER CONSIDERATION. Failure to complete or attach any of the above items such as an OFFICIAL college transcript or Joint Service Transcript may result in your application being screen out. Do not attach a resume or cover letter in lieu of Official College Transcript. The Department of Corrections will not hire individuals who are found unsuitable for employment as a Corrections Officer based on background investigation of the individual. An applicant must be at least eighteen (18) years of age at time of employment as a Corrections Officer. An applicant must pass a post-job-offer medical exam, drug screen, and physical fitness test. An applicant must finish an approved eight week corrections officer training program, followed by eight weeks of on the job training. Successful completion of the training program, annual training, and continuing certification as a Corrections Officer are required to remain employed. Proof of two years' experience as a Correctional Officer in a State or Federal Penitentiary. This documentation must be submitted from the Human Resources Department indicating that you are currently in good standing or left in good standing. Scan and attach your DD-214-Member 4 Copy (active duty), NGB-22-Individual Copy 2 (National Guard), and/or discharge certificate (all other military reserve duty) for each tour of service along with the application. Scan and attach verification from the military branch where you are currently serving. An official transcript must bear the college/university certification (e.g. seal, logo, watermark, and/or letterhead), Registrar's signature, and date. A transcript with these requirements, with the stamp "Issued to Student" is accepted as an official transcript. An unofficial transcript will NOT be accepted. An unofficial transcript is: (1) an internet copy printed from the college/university student web account; (2) a transcript stamped with "Student Copy," and (3) a transcript that is labeled as "Unofficial." The official transcript must be scanned and attached to the electronic NEOGOV Civil Service application with one of the following file extensions: pdf, doc, docx, txt, or rft. Photographs or Instagrams of official transcripts are not accepted. When building your Applicant Profile in the NEOGOV application, click the Add Attachment(s) Section to add your transcript(s). When attaching transcripts, please name the college/university for each transcript attached. Military Veterans: The MDOC accepts Joint Services Transcripts(JST). Please call 517-335-1863 or 517-241-8559 for assistance with your JST's.